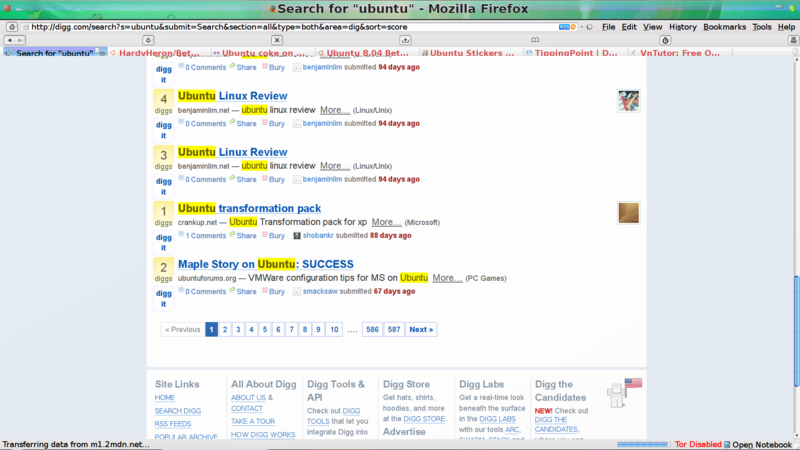 Is “Ubuntu” a dirty word on popular site digg.com? After a pair of my articles were submitted, I checked the stories at the Digg site and noticed a user had voted to bury both of them. 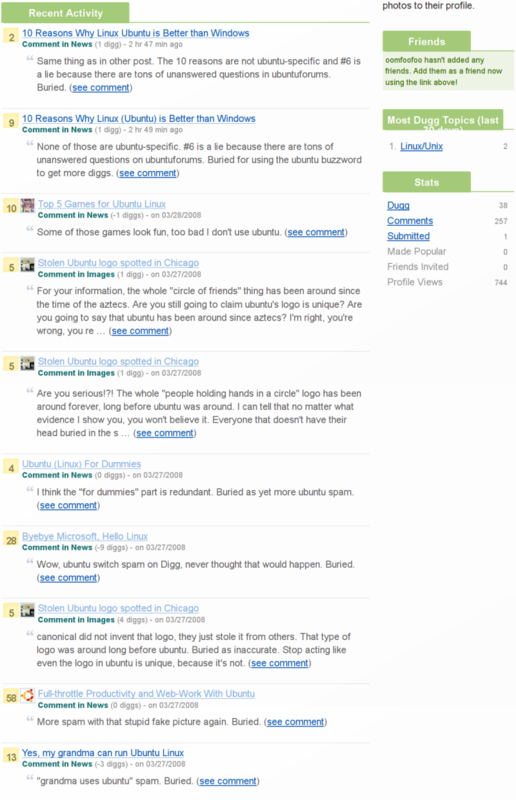 The comments indicated the inclusion of the term “Ubuntu” was deemed spam by this user, and served as the reason for the bury vote. As you can see, this user seems to consider any mention of Ubuntu as spam. I’d noticed similar behavior in the comments of other posts about Ubuntu, so that got me thinking: is there an anti-Ubuntu bias in Digg? I decided to find out. These searches took place March 29th, 2008 between 13:54 – 14:09 PST and the search context was “Title and Description” and “All Stories”. As you can see, a higher percentage of Ubuntu stories gets buried than Microsoft, OS-X, Vista or any of the nine other search terms used. 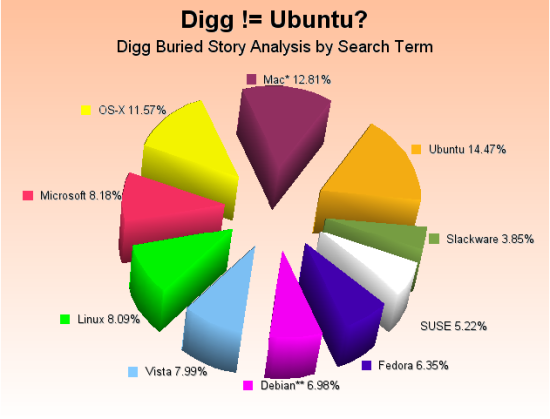 14.47% of stories containing “Ubuntu” are buried. This compares to 7.99% of “Vista” stories buried. Note that both “Mac” and “Debian” aren’t really useful for comparison purposes: “Mac” picks up articles containing “Big Mac” or other terms unrelated to the Apple Mac, while many stories containing “Debian” also include “Ubuntu”. *”Mac” is not a reliable search term, as it includes a significant number of results unrelated to the Apple Mac (ie “Big Mac”). **”Debian” is not a reliable search term, as it includes a significant number of results which include “Ubuntu”. We’ll see how long this story lasts on Digg! The real reason Digg buries Ubuntu articles as spam is because Digg is a Microsoft shill site.